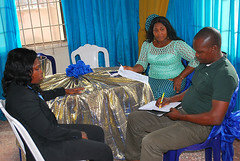 Reports on unemployment rate in Nigeria by the National Bureau of Statistics indicate that unemployment in the country has risen appreciably especially in the first quarter of this year. 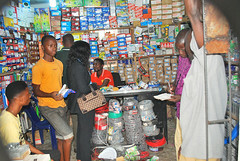 The reports indicate that unemployment rate rose significantly from 6.40 percent to 7.50 percent. It is noteworthy that youths, especially young graduates, constitute the bulk of the huge population of unemployed people in Nigeria. It is against this background that the determination of the Delta State Government under Dr.Ifeanyi Okowa to ensure wealth creation by tackling unemployment in the state should be appreciated. Indeed, right from his inauguration on May 29, 2015, Senator Okowa has not minced words that the policies and programmes of his administration would be primarily motivated by the need to create jobs for the teeming population of youths across the state. Delta State Governor Ifeanyi Okowa has identified lack of statistics and data base of unemployed youths in the state as one of the factors mitigating against effective job creation initiatives and past youth empowerment programmes in the state. 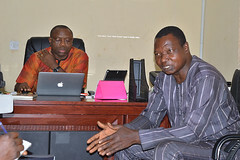 To address the challenge, the governor disclosed that the state government has launched a database of unemployed youths in the state through the job and wealth creation scheme, which promises to keep the youths off the streets. 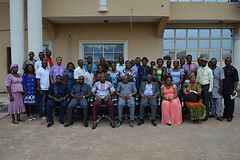 He said the database would provide a steady feed of participants for the programme and also enable the government in planning for its future and those of the youths.. The Delta State Government has selected 20 cooperatives societies to benefit from the allocation of tractors for agricultural purposes. 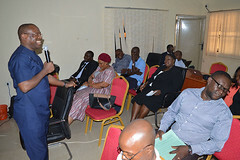 It would be recalled that 692 cooperative societies applied to benefit from the tractor, 269 were screened out while about 50 were invited to the session to brainstorm on its usage where 20 societies were eventually selected to benefit out from the 46 tractors to be given out. Disclosing this in Asaba on the occasion of the signing of agreement between the representatives of the cooperatives societies and the government, Prof Eric Eboh, Chief Job Creation Officer, CJCO, to Governor Ifeanyi Okowa said that the societies would only pay 40 per cent of the price of the tractor in four years installments after the initial 10 per cent deposit at a total cost of over N6.2 million. AS part of efforts to alleviate the sufferings of Deltans, Governor Ifeanyi Okowa of Delta State, will today perform the official inauguration of the Job and Wealth Creation Scheme of the state government, two months after it was flagged off. 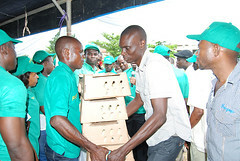 The inauguration ceremony which is to be performed at Songai-Delta in Amukpe, near Sapele, is the highlight of the orientation programme for 1,345 trainees drawn from the 25 local government areas of the state for the Youth Agricultural Entrepreneurs Programme, YAGEP and Skills Training and Entrepreneurship Programme, STEP.